We're the #1 Choice when it Comes to Automotive Electrical Repair! 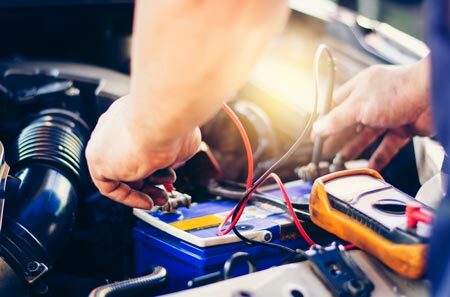 Since 1989, Auto Electric Specialty, LLC has been the foremost provider of auto electrical services to cars and trucks of all types—including fleet vehicles, industrial vehicles and agricultural equipment. We specialize exclusively in electrical troubleshooting and repair. Contact us today for reliable electrical service, provided by industry experts. When your vehicle needs auto electric repair in Cedar Rapids, IA, don’t visit just any auto repair shop. Instead, come to Auto Electric Specialty, LLC, where we focus on one thing and one thing only: electrical repairs. 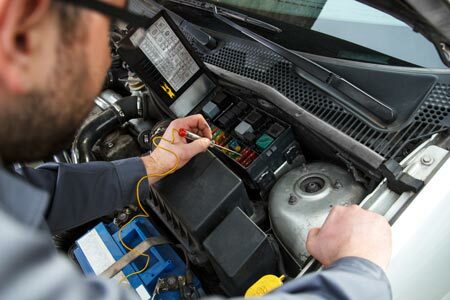 Our staff works diligently to troubleshoot, diagnose and repair any and all electrical problems with your vehicle, to ensure you’re able to drive safely and utilize your car’s many features out on the road. Turn to us for the essentials—like batteries, starters, alternators, wiring and fuses—as well as everything else, including power accessories, radios and more. We’ll get to the bottom of whatever’s causing your electrical issues and see that it’s fixed fully and completely by our experts. Not only are we your foremost resource for battery replacements and alternator repair in Cedar Rapids, IA, we’re also open for equipment electrical services. Bring us your agricultural or industrial equipment when it starts to malfunction and we’ll service their electrical systems to set them right again. We work on everything from tractors and combines to air compressors and construction equipment. Got a fleet of vehicles that needs electrical oversight? We can help with that too. As the foremost local leaders for electrical repairs, there’s nothing we can’t do to help you get back on the road or back to work when electrical problems arise. 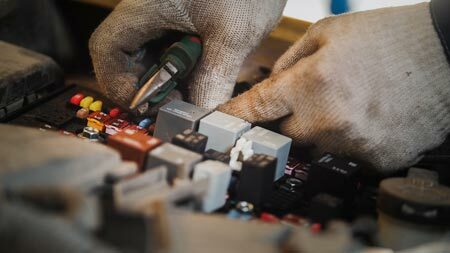 We have more than four decades of hands-on experience, ensuring quality electrical repairs for our many customers. In addition to general automobiles, we also provide electrical service for fleet vehicles, industrial equipment and agricultural vehicles. We’re members of the National Federation of Independent Business (NFIB). We utilize only the very best name brands in the world of auto electrical, including ACDelco and Motorcraft. We use state-of-the-art equipment and expertise to provide diagnostics that pinpoint the root of your electrical problem, to make sure we’re solving it properly. Problems starting your vehicle? Power accessories malfunctioning? Auto electrical problems shouldn’t be ignored. Contact our shop today to set them right again! November 13, 2017 Fidel H.
"Ford Windstar 2003 had electrical issues, got a quick diagnosis and the fix was affordable. Thanks Jim & Quinn you guys are awesome." November 13, 2017 Greg Y. "They rebuilt the starter in my 91 minivan, and it cost what they said it was going to cost. They were done less than 2 days after I had it t..."
November 13, 2017 Dave B.